VOIPo and ViaTalk are two providers of residential VoIP services, solutions specifically for households and their phone needs. Although broadly similar in terms of features, they have a few differences that might be crucial in making a choice. In this comparison, we’ll look at the benefits and drawbacks of each service. Interactive Voice Response or IVR is among the most sought after features when it comes to human-machine interactions in telecommunications. What IVR essentially accomplishes is that it allows users to interact with computers through the use of dual tone multi-frequency and voice inputs. In other words, when you encounter voice responses through automobiles, or through a telephone line, and so on, it is usually IVR that gets down at work and makes voice communication possible. The IVR is basically an interactive voice response that you get for simple human-computer interactions and dialogues, to help you navigate a simple interactive process. The automated attendant is the system that allows you to interact with the computer or gadget, without the aid of a telephone operator or any human actor to intervene and guide you through the process. A good example of where you might have encountered an automated attendant is on a menu system, such as ‘dial 1 for technical support’, ‘2 for sales assistance’, and so on. This is also the system that comes into play when you need to transfer calls to voicemail, or redirect calls to a different number, and so on. First of all, the automated attendant is characterized by the telephonic options that you get when you call a number, redirecting you to the various communications amenities that you can access depending on your requirement. IVR, on the other hand, is more advanced in terms of the levels of response, technology and interaction. 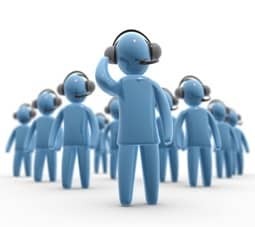 The most important difference is that IVR is also equipped sometimes with voice recognition technology; therefore, the level of interaction between you and the computer is far more advanced as opposed to in an automated attendant. While both systems aim to eliminate the intervention of a human interceptor such as a receptionist or a telecommunications operator, the automated attendant permits only a limited dimension to the interaction with limited options. 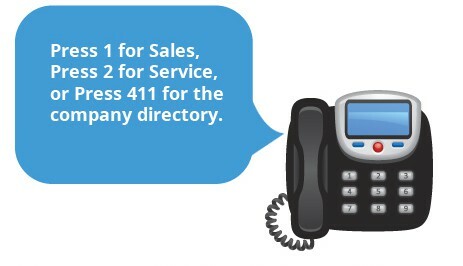 However, IVR is more advanced and nuanced in its interactive ability and options provided to the user. Phone phobia is still one of the major afflictions among business owners, you might be easily able to relate that to yourself. Now the thing to worry about here is that many small business owners like you are unable to get their hands on expensive separate sales department setups in order to enjoy unremitting profits. Whether you like it or not, phone and sales still come in pairs as far as increasing the revenues and profits are concerned. The phone surely is one of the best mediums for increasing sales, regardless of the new shiny tools available in the 21st century business world. 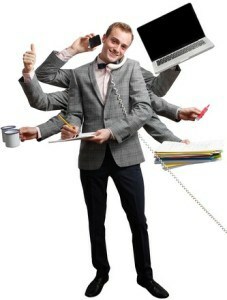 The importance of phones in a small business can never be left unnoticed. You need to remember that your customers will always pick up their phones to reach you for every little inquiry they may have. Whether it is a pre-sales inquiry or after sales support or just a simple follow-up, an unanswered phone call will mean one happy client less. The internal sales department will spread a word about your products and services to the potential market, thereby increasing your sales and ROI. Installing expensive phone systems in your small business organization can definitely be a bank breaking deal. If you have somehow managed to get them installed, you surely must follow some quick tips for improving the sales ROI. If, however, you are still wondering about investing in an internal sales department, then availing the benefits of VoIP services would be an ideal option for you. 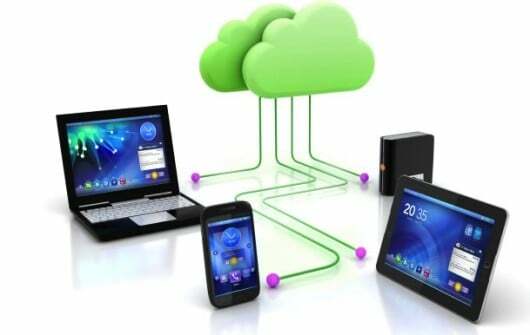 Integrating VoIP services with your existing solutions will not only save a good amount of investment, but will also improve the efficiency and ROI quite easily. With VoIP service providers offering innumerable quality features to the businesses in lieu of affordable charges, reaching a break-even in a matter of 6-8 months and then a better ROI is not a distant dream. 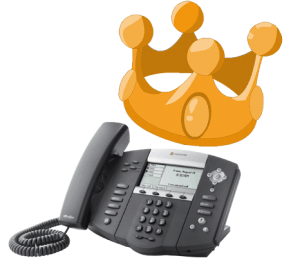 So, if you still haven’t given a thought to having an internal phone sales department, thinking about VoIP integration would be a worthy investment. 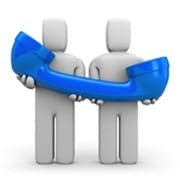 In contrast to the customary telephone service providers, VoIP firms provide businesses with a wide variety of features in lieu of no extra charges. With certain VoIP companies providing more than 40 features in their entry-level plans, it might become difficult for you to fully understand the function of each and every feature, and make optimum use of them in day-to-day operations. After TEVA Canada adopted a network utilizing Microsoft SharePoint, Strategy-Nets and Moxie, they announced an unprecedented 95% order fulfillment rate for 2011. At the same time, IBM announced that they had reduced completion time by 30% and had a 33% reduction in component costs.